Design a brochure that accompanies a single topic, aimed towards an audience between 18-50 years old. Generate a concept that appropriately educates the audience. Who hasn’t dreamed of one day ruling their own country? Along with great power comes unlimited influence, control, admiration, and often wealth. 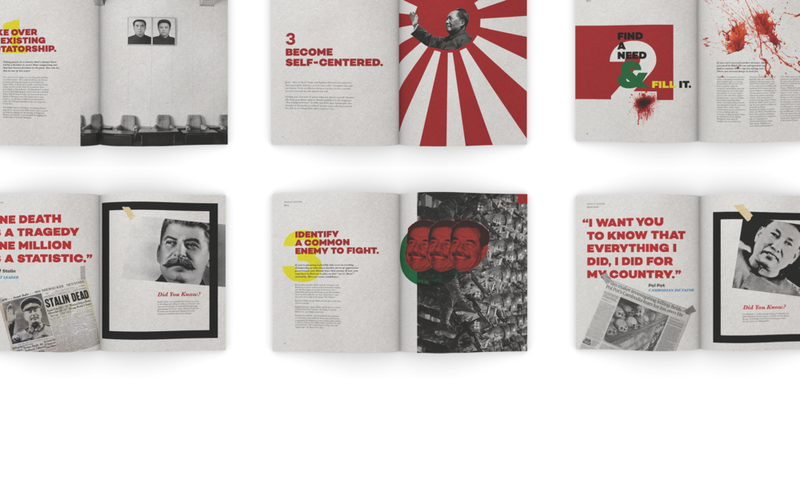 I designed a tongue-in-cheek guide to becoming a dictator, Based on the outrageous, scandalous, and excessive behavior of dictators past and present.